There are several ways to volunteer at The Center for Grieving Children. We have opportunities for people interested in being a Grief Group Facilitator for children or adults, office volunteer positions, our Board of Directors or special committees such as Marketing, Resource Development or Special Events. For more information – see our Volunteer Packet. Our volunteers are adults who care deeply about children and love to listen to them with all their hearts. They are capable of tolerating sadness and pain, as well as appreciating joy and some of the hidden gifts that result from growing through grief. Our volunteers are willing to look at their own losses and continue to grow through them. They are open to sharing their humanity and to learning. Our volunteers must attend a volunteer facilitator training program. We ask for a commitment of one school calendar year (September through June) to The Center. 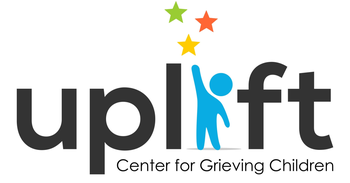 Work with staff to facilitate children’s grief support groups at The Center. Requirements for this challenging yet rewarding role include a placement interview, a security background check and completion of the volunteer facilitator training program. Completed applications may be e-mailed to Kevin Carter at kevin@grievingchildren.org and Crystal Wortham at crystal@grievingchildren.org or mailed to 3300 Henry Avenue, Philadelphia, PA 19129. Once we have received the completed application, the volunteer will be notified of the next training class.